Prof. Alexander J. 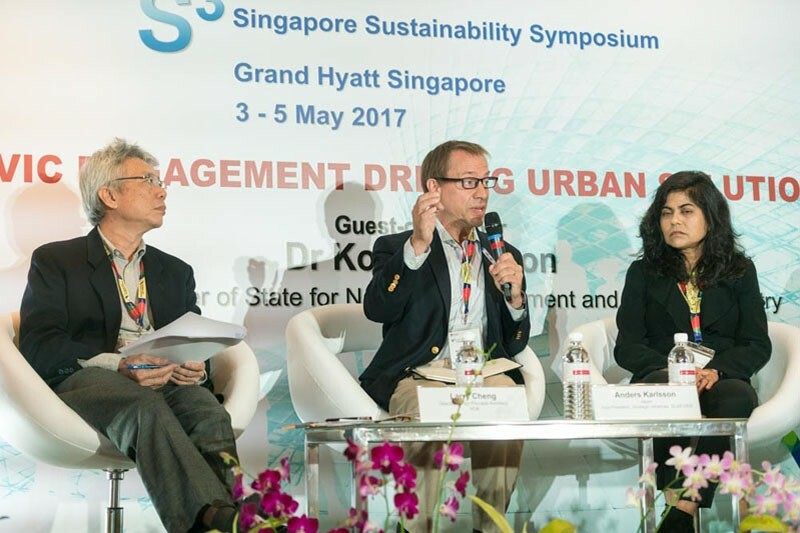 B. Zehnder presents at the Singapore Sustainability Symposium. He is the conference chair and visiting professor at Nanyang Technological University (NTU) in Singapore, where he heads the Sustainable Earth Office. 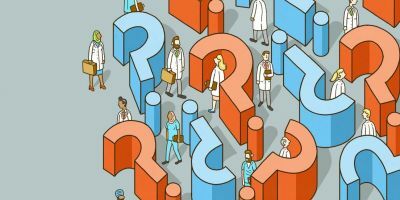 Editor’s note: This month, we are exploring “how science can build a sustainable future” – revealing opportunities we may not have considered. 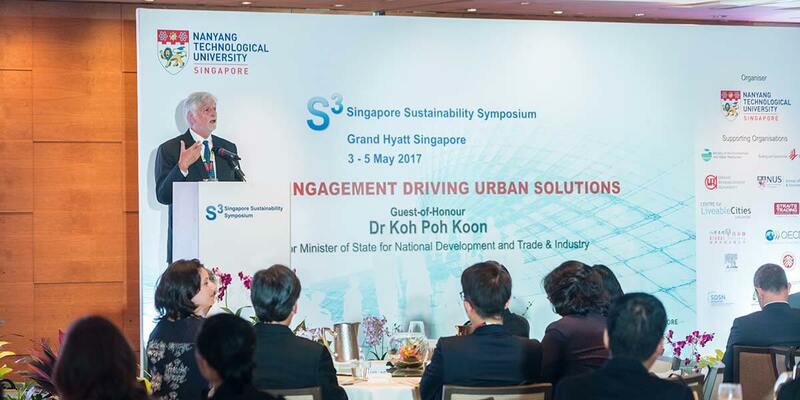 The Singapore Sustainability Symposium (S3) is all about bringing people together and discussing the future. Elsevier’s Dr. Anders Karlsson, who spoke at the conference, caught up with conference chair Prof. Alexander J. B. Zehnder to understand what’s needed for sustainability research to make a difference in the world. From Prof. Alexander J. B. Zehnder’s perspective, sustainability science isn’t just about research, it’s about solutions. 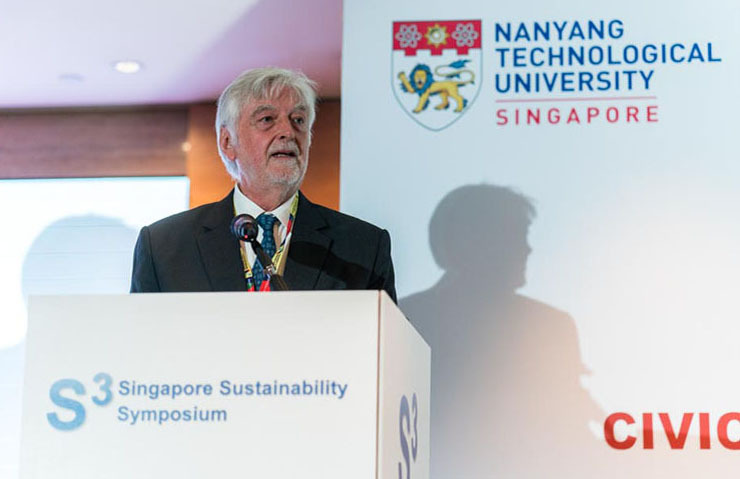 As a visiting professor and member of the Board of Trustees of Nanyang Technological University (NTU) in Singapore and chair of NTUs Sustainable Earth Office, Dr. Zehnder is the driving force behind the Singapore Sustainability Symposium (S3), organized in partnership with Singapore’s ministries, university partners, and various private sector organizations including Elsevier. 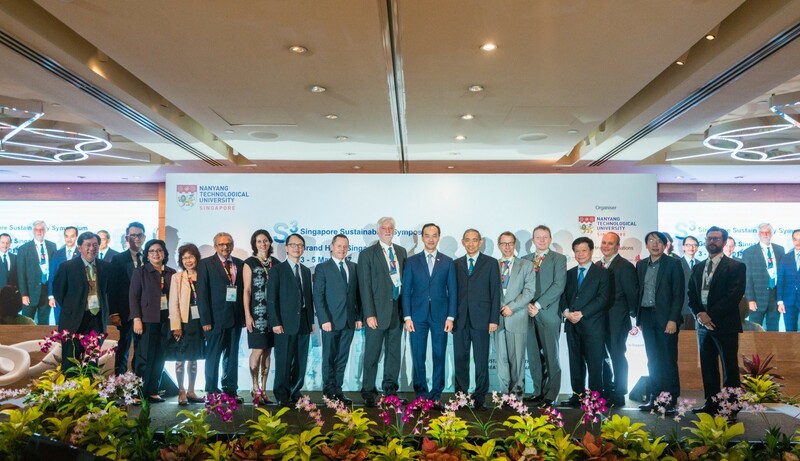 The 4th annual event was held on May 3 and 4 at the Grand Hyatt in Singapore under the theme “Civic Engagement Driving Urban Solutions.” As before, it brought together stakeholders from academia, industry and politics to discuss how sustainability research can be implemented to make a difference in the world. One of the outputs from the conference is that Dr. Zehnder was invited to the World City Mayor’s forum in Suzhou to present the main conclusions and recommendations. It’s transdisciplinary, but to be quite frank not many know how to do it effectively. The moment things get concrete, it gets complicated. 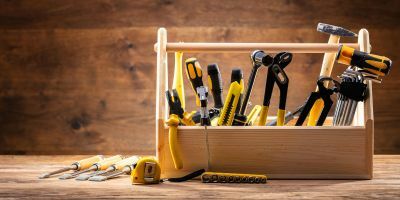 Breaking out of disciplinary silos isn’t easy; that’s part of the reason the S3 symposium exists. Dr. Zehnder argues that it’s an essential step. “At NTU we created an online course on sustainability that all first-year students have to take,” he explained. The aim: to emphasize that sustainability is not mono-dimensional, and its many facets extend throughout science and society. 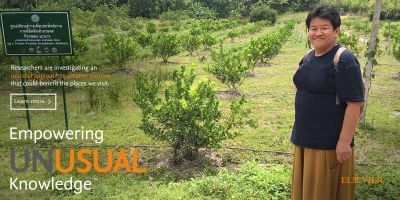 “All students know from their former education and learning that sustainability is important, and the course exemplifies that almost any of the students’ activities and projects have a sustainability aspect. 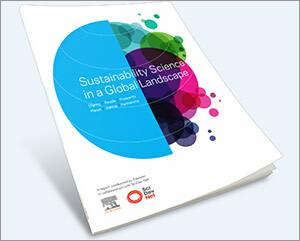 Dr. Zehnder was one of the advisors for Elsevier’s 2015 analytical report Sustainability Science in a Global Landscape, conducted in collaboration with SciDev.net. 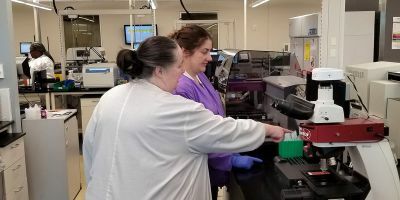 Released on the eve the UN adopted its Sustainable Development Goals, the report aimed to contribute to the understanding of sustainability science as a research field – and the dialogue between science and society in sustainable development. 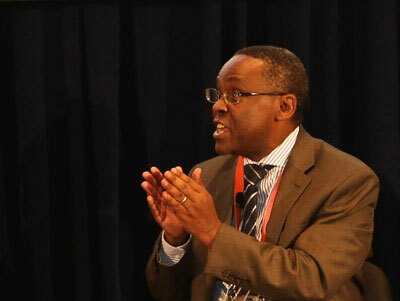 Continuing that dialogue will be essential to ensuring the successful implementation of sustainability research, he said. Dr. Zehnder recalled a comment made by Kim Chang-Beom, Ambassador for International Relations to the Seoul Metropolitan Government, at last year’s symposium: “He said, ‘Whatever we do to make the city and life of the citizens more sustainable, we need the undivided the support of the people. 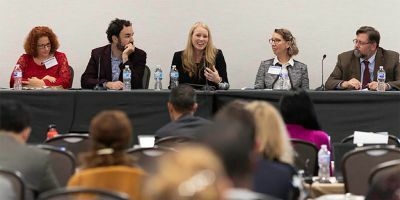 Otherwise implementation is close to impossible.’ This created a strong impression among the participants and was determining for the theme for this year’s conference – civic engagement. 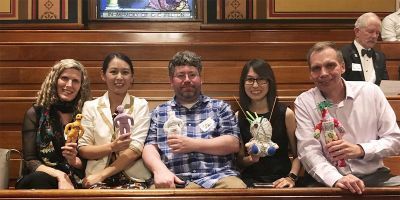 Ludivine Allagnat, Senior Academic Relations Manager in Elsevier’s Tokyo office, and Merrylyn Yeo, Marketing Manager, Southeast Asia, contributed to this report. Dr. Anders Karlsson is Vice President of Global Strategic Networks at Elsevier. With Tokyo as base, he covers the Asia Pacific Region. He has a background in science diplomacy, having headed the Embassy of Sweden Office of Science and Innovation in Tokyo for five years, as well as in academia, having served as Professor of Quantum Photonics at the Royal Institute of Technology – KTH in Sweden for 10 years. He has a PhD in Electrical Engineering, and a MSc in Engineering Physics, also from KTH. 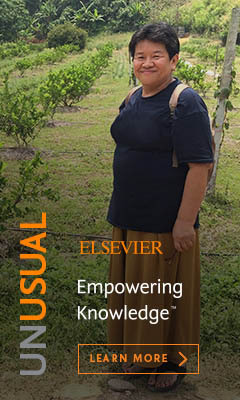 At Elsevier, he has been engaged in a variety of projects, such as Elsevier’s reports on Sustainability Science, Disaster Science and Artificial Intelligence . 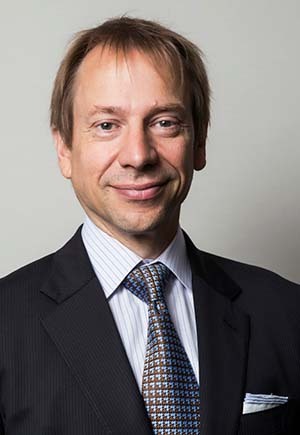 He is a member of Elsevier’s sustainability board as well as the Vice-Chair of the Japan branch of the International Association of Science, Technology and Medical Publishers – STM.